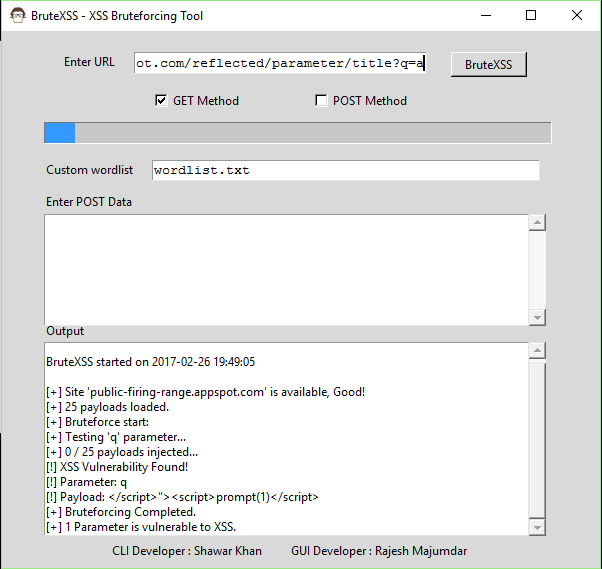 BruteXSS is a tool written in python simply to find XSS vulnerabilities in web application. This tool is developed in Python, so obviously cross platform, you just need Python installed in your machine. This tool was originally developed by Shawar Khan in CLI. I just redesigned it and made it GUI for more convienience.